TIFF is a graphics container that can store both raster and vector images. The easiest way to view Word files with the help of software for photo viewing is to convert Word to TIFF. 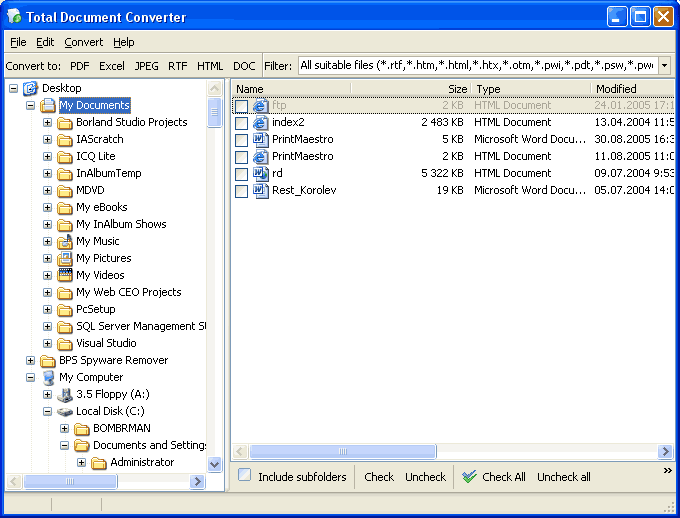 Most users will find Total Doc Converter to be more than enough; however, advanced users who use web server might feel a need for Word to TIFF server converter. Convert Word to formats other than TIFF (PDF, XLS, HTML, JPEG, TIFF, RTF, TXT and Unicode TXT), and much more! You can find the complete list of commands supported by CoolUtils' Total Doc Converter X on the developer's official website. You can either purchase the life-long activation key or download a trial version of the converter valid for 30 days. The evaluation copy of Total Doc Converter X comes with no obligation, spyware, adware or malware. It is designed solely for evaluation purposes and should be uninstalled upon the expiration of the trial period. 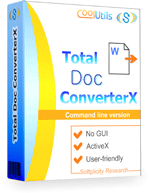 Download Total Doc Converter X now!